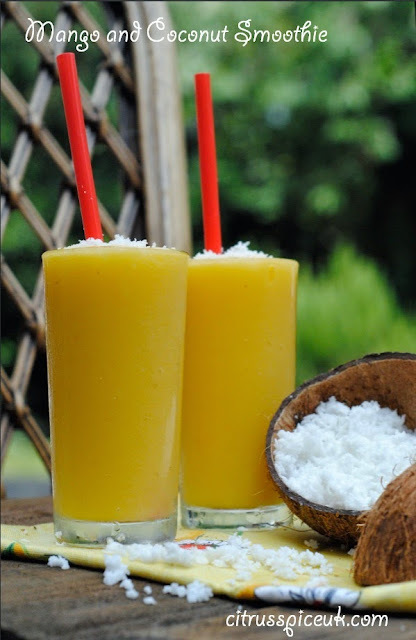 Delicious mango and coconut flavours in a creamy smoothie. 1. Peel and dice the mango and add it to the Optimum 9400 blender jug.2. Add the ice cubes, coconut milk and honey and blend all the ingredients for 1 minute to form a fine puree.3. Stir in two thirds of the fresh coconut and pour the smoothie into two tall glasses. Garnish with remaining fresh grated coconut. I added honey to my smoothie as my mango was not very sweet, if you have a very sweet mango leave out the honey. I made my smoothie in the The Optimum 9400 blender which was sent to me by Froothie to try out, you can see the original review here. My big sis would love this - she loves coconut and mango! Wow! 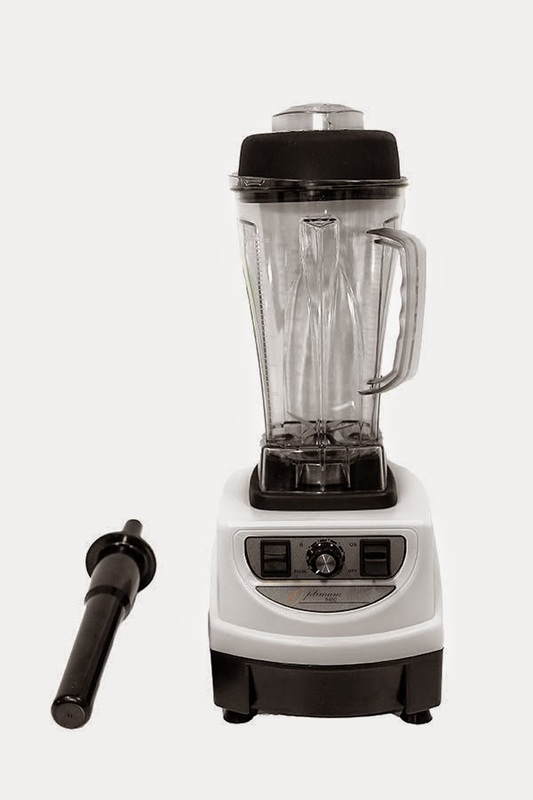 that is a seriously priced blender! I don't like cocnut but the teen does and would love this. perfect vegan smoothie, will surely try this in summer, since my husband can not have regular milk , will make this for him. Sounds delicious and so tropical - some of my favourite flavours. Mango and coconut milk is a lovely combo.. never tried smoothie but I make a sauce for pancake topping. Oh this sounds the perfect summer drink! Have some mangoes waiting to be used and I think this is their calling! Looks delicious and very refreshing! Your smoothie sounds lovely, I'm not really attracted to the green smoothies, but a lovely fruity one is very appealing. This smoothie sounds delicious - I'll have to show my kids the recipe as they love making smoothies. MMMmmmm this looks refreshing. Lovely pic too. Inspiring me to get my blender fixed! Oh yum! All the best flavours Nayna! Excellent! oh this sounds utterly delicious! .. my other half would LOVE this! This looks amazing! Great photography too by the way. My son's favourite food is mango so this would be his dream drink!! Looks delicious. Yummy ! Interesting combo. Would love to try it.